Social media is becoming a crucial part of our society. While the field of medicine has lagged behind in adopting and harnessing these platforms, we are now starting to see a surge in social media usage for medical education and scientific communication (e.g., knowledge translation, research collaboration, discussion, and discourse). 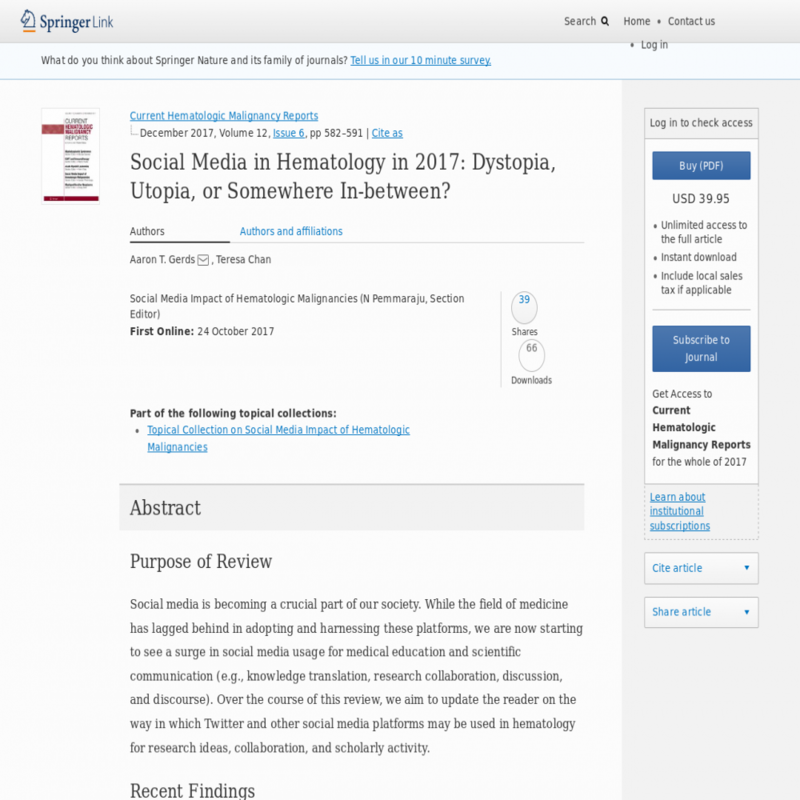 Over the course of this review, we aim to update the reader on the way in which Twitter and other social media platforms may be used in hematology for research ideas, collaboration, and scholarly activity. Twitter use has grown exponentially over the past decade and is now woven into the fabric of modern communication. It can be a useful tool for those who wish to engage both colleagues and the public. While some issues such as reporting of financial conflict of interest still need to be addressed, Twitter, and social medial in general, can be a powerful instrument for researchers, educators, patients, and advocacy groups.